I have been asked why and how Nate didn't know his own past. This story is told in a short story, Wolf's Son. 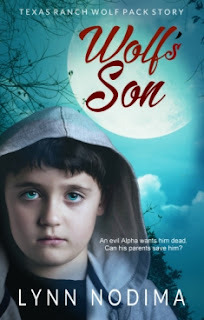 Wolf's Son is a free story for anyone who signs up for my list. 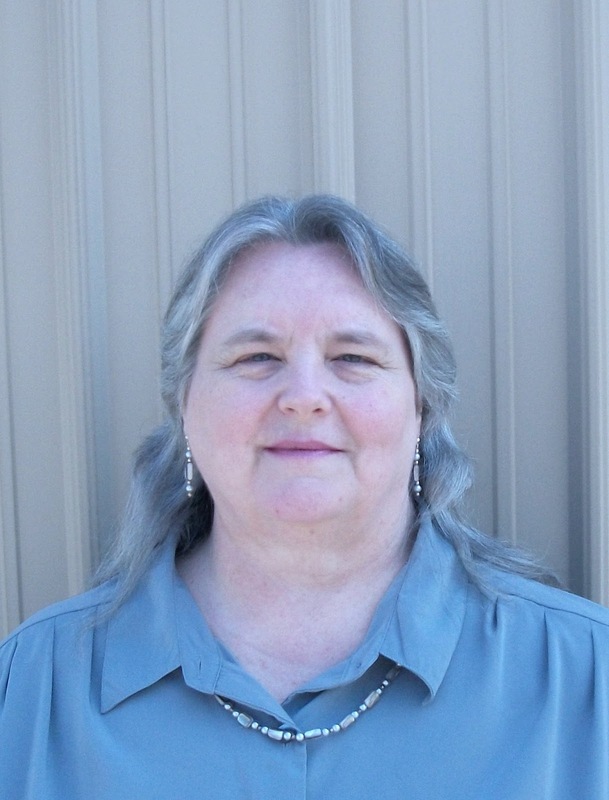 The list will be used to announce when new books in the Texas Ranch Wolf Pack Series are published and will offer reviews of books by other authors in whom you might be interested. This story was one I fully enjoyed writing. As a pantser (a writer who sits and writes, usually without much of an outline), this story revealed some facts to me, as the author, that will change the course of my current work in progress, Wolf's Claim. Wolf's Claim continues the story of the Texas Ranch Wolf Pack and will publish in July. When newborn Nate shifts just minutes after he is born, his parents panic. The ability to shift at birth is unheard of and is the hallmark of a powerful were. Jackson, the pack Alpha and the baby’s uncle, is a jealous leader, murdering all who might ever have the power to overcome him. Desperate to save his son from his twin, Grant takes his mate and baby and runs. Nate could be the most powerful werewolf since Lycos . . . if they can escape Jackson’s clutches . . . if they can hide him from the Alpha . . . if they can keep him alive . . .. When Jackson sends his Beta, Dustin, after them, Grant is willing to fight to the death for his family. Will Dustin try to return them to Jackson or will he help them escape when he learns the truth? “Shhh.” His heart raced and sudden beads of sweat dripped into his eyes. “Shhh.” Closing his eyes, Grant pressed his hand to his pup’s tiny head. Change and do not shift again! A soft puppy whine ended as the pup shifted back to a baby. Grant leaned close to his mate and pressed his hand to her forehead. Jackson will not harm him. We must leave. Now. Tonight. Before the others know he has birthed. Wordless, she nodded. Her pain shivered through him. It’s too soon to move her, he told Fareth. If we don’t, she and the pup will die. Grant’s jaw ticked. Over my dead body. Fareth, his wolf, agreed. This story is free in PDF format. 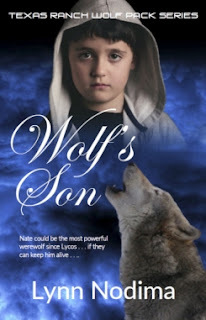 Click on the Wolf's Son cover image in the right column to sign up and receive the full story.